With the beginning of spring comes the start of spring sports. Soccer, lacrosse, volleyball, baseball and softball players are loading up on equipment and getting ready for the first games of the season. If you partake in sports, do you have your uniform ready to go? How about a mouthguard? 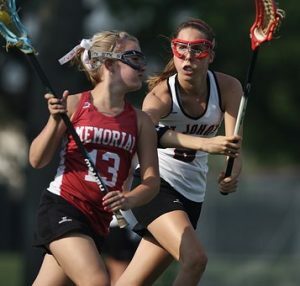 While not all sports require mouthguards, our Vancouver orthodontist suggests it should be part of your uniform. Mouthguards prevent dental injuries and reduce the possibility of chipped or broken teeth. If you wear braces and participate in sports, a mouthguard is an essential part of your team uniform. Just as knee pads protect your knees, a mouthguard protects your teeth. A baseball to the face can cause extensive damage. Compounded with braces, even the slightest hit in the face will cause pain and potentially break your orthodontia work. Generic mouthguards are great at protecting your mouth but if you wear braces, ask our Vancouver orthodontist about custom-fit options. Our staff can create a mouthguard specific to your needs and for optimal protection. Mouthguards that are one-size-fits-all or that use the boil and form methods aren’t always ideal for those with braces. Let us help you get a mouthguard the gives you the best protection. A mouthguard made specifically for your mouth and braces increases your safety and prevents setbacks in your oral treatment plan. We will work with you to find the best option for your needs. Mouthguards not only protect your teeth, they help ease the pressure that comes from clenching your jaw. Games can get intense and you may unconsciously grind your teeth or clench your jaw when you’re up to bat or trying to secure a win for your team. A mouthguard creates a cushion that keeps your bones from grinding against each other. This helps protect the enamel of your teeth as well as your jaw. Even if your sport isn’t a contact sport, our Vancouver orthodontist recommends wearing a mouthguard. If you find your jaw aches after a game or practice, you’ll likely need a mouthguard. Oral injuries decrease when mouthguards are properly used. Additionally, you’ll avoid costly procedures and restorative dental work. Our patients wear braces to correct their bite or straighten their teeth. The ultimate goal of braces is to give you the smile you want. Don’t put a stop to those plans by ignoring the need for a mouthguard. The hardest part about braces and mouthguards is your ever-changing teeth. As your teeth move, protection from a mouthguard may lessen with custom fit appliances. Luckily, our Vancouver orthodontist can steer you towards a solution that will keep your teeth on track while you get the protection you need for your mouth. Schedule a visit with us to discuss your options and be prepared for your upcoming practices and games. Follow us on Facebook for more information regarding how to care for your braces and best of luck to you and your team this season!